CHW Weekly Stories | Canadian Hadassah-WIZO (CHW) | Canadian Hadassah-WIZO. CHW passionately supports programs and services for Children, Healthcare, and Women in Israel and Canada. How a World WIZO Shelter for Battered Women changes women’s lives – one woman’s personal story. *Miriam was a strong, independent, and educated woman. At the age of 38 she was single and ready to become a mother when she met Ron*. Things moved quickly and they decided to begin their family together. Ron began being verbally abusive and following the birth of their daughter, things escalated with threats of violence. Miriam began living in constant fear, Ron controlled every part of her life. Miriam became pregnant with their second child and she felt imprisoned. One evening, the police were called to their home and the gravity of the situation was discovered. Social Services intervened and took Miriam, with her two children, to a World WIZO shelter. The family spent nearly one full year in rehabilitation in the shelter. When Miriam and her children left the shelter, she was once again a strong and confident woman. Today, Miriam is 51 years-old. She has started her own business has allowed her to be financially independent and take care of her children. She is happy, no longer living in fear, and fulfilling her dreams. This story came to light following a WIZO UK visit to the World WIZO shelter that was accompanied by Louise Scodie, a journalist from UK Jewish News. Click here to read the article summary on the World WIZO website. A team of doctors from Hadassah Hospital have traveled to Ethiopia with the sole purpose of helping in the fight against infectious diseases. The team, comprised of Prof. Allon Moses, Chair of the Department of Clinical Microbiology and Infectious Diseases, Carmela Schwartz, Nursing Director of Ambulatory Center for Infectious Diseases, Dr. Shmuel Benenson, Head of Infection Prevention and Control Unit, and Tamara Zeiter, Senior Microbiologist, created one goal for this trip: to prevent the spread of infectious diseases. 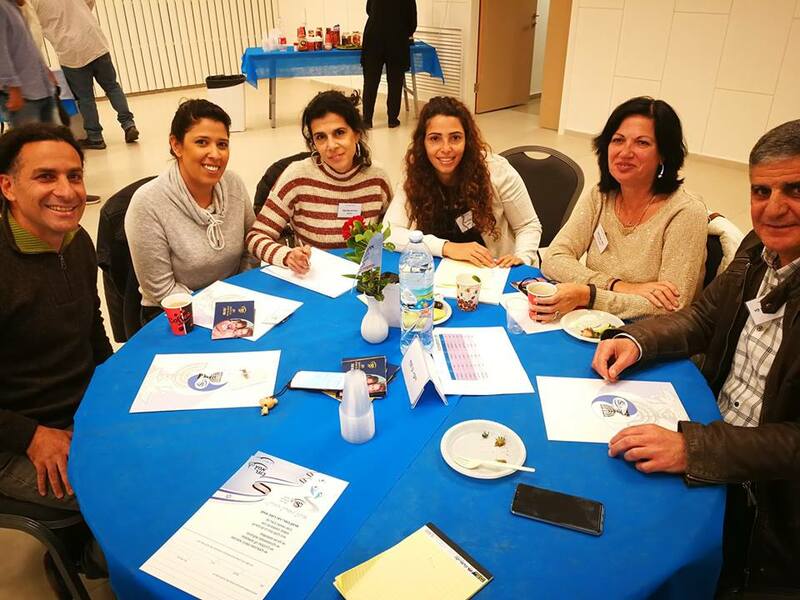 This past week, World WIZO’s Tel Aviv Headquarters hosted a special Graduate Association event. 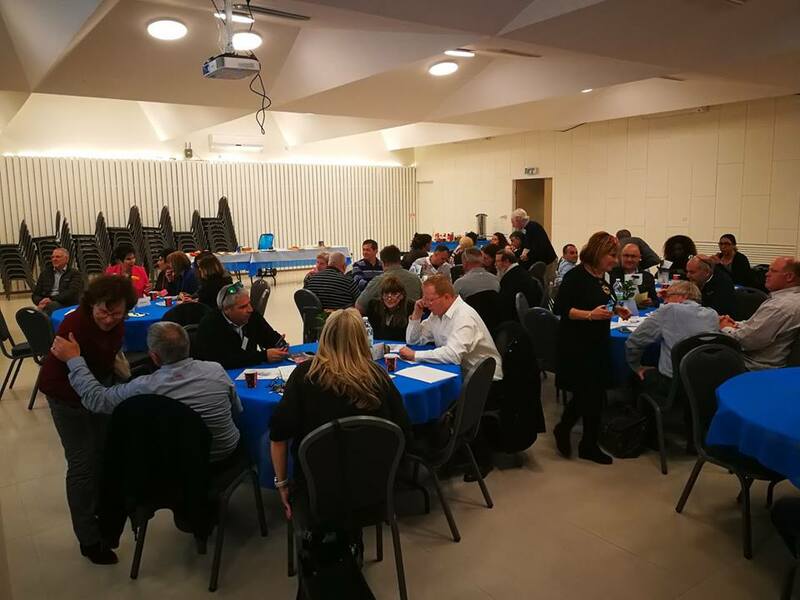 The focus of this event was on how to best implement the new program, “Adopt a Graduate.” This new enterprise will encourage graduates from World WIZO’s schools and youth villages to become mentors to grade 12 students as well as recent graduates from the same institutions. 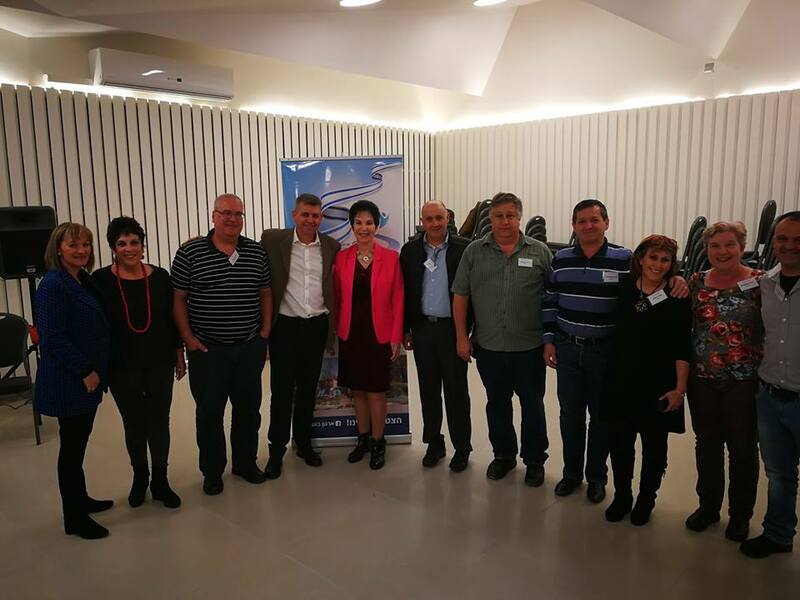 Attendees to this event included representatives and alumni from World WIZO’s schools and youth villages, including CHW Hadassim and CHW Nahalal. The aim on this program is to be a new avenue of support and guidance for these soon-to-be-alumni and recent alumni. It is aiming to build a new type of relationship with mutual benefits that will enable both parties to grow and pursue their dreams while remaining connected to their roots. This is the story of how Hadassah Hospital’s team of doctors were dedicated to helping their patient fight her chronic liver disease and fulfill her dream of having a baby! Oshrat was a mother of two and a full-time newspaper journalist when she began to realize something was not okay with her health. After Oshrat gave birth to her second baby, she started to feel unwell and suffered from pain throughout her body. Oshrat and her husband had been trying to conceive, but they were struggling and had suffered from six miscarriages. Oshrat turned to Hadassah Hospital’s Liver Unit after being informed that her liver function was abnormal. At Hadassah Hospital, Dr. Rifaat Safadi helped diagnose Oshrat. Following a biopsy, they discovered that Oshrat was in stage two biliary cholangitis, a chronic disease causing the bile ducts in the liver to gradually be damaged. Oshrat discovered that this disease was causing her miscarriages. With a great deal of support from the hospital and Dr. Safadi, they helped Oshrat to manage this chronic condition. Dr. Safadi understood that Oshrat wanted to have another child and was committed to helping make this a reality. Oshrat and her husband conceived and with the careful monitoring by the physicians at Hadassah Hospital, they were able to ensure this was a safe pregnancy, though it was a high-risk pregnancy. At week 32, Oshrat was induced and gave birth to a healthy baby boy who she named Afik. Today Oshrat is the proud mother of three children, including one-year-old Afik! 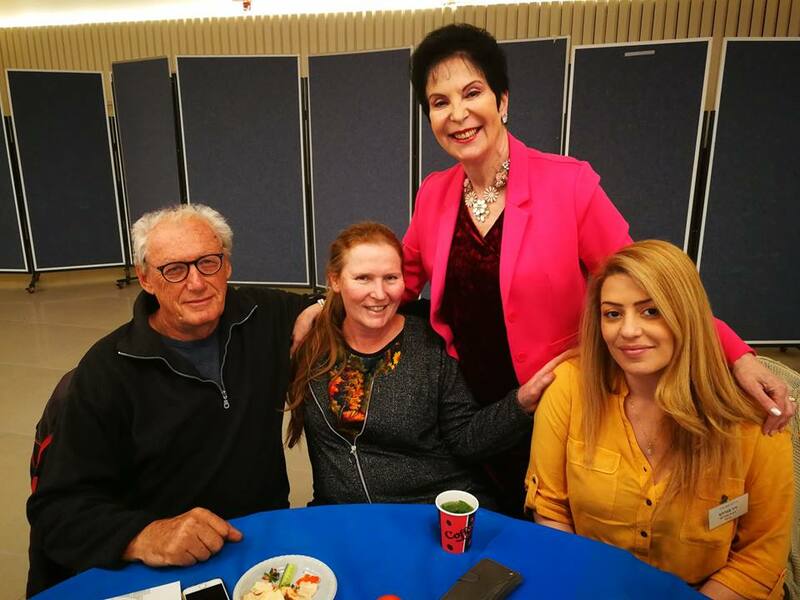 Oshrat shares,”It’s like a family at Hadassah… Dr. Safadi was like an angel, keeping me and my baby alive.” Oshrat has been able to manage and stabilize her liver disease and is now a healthy and happy woman! As people around the world mark International Women’s Day, CHW would like to share how we play an integral role in impacting women’s rights and advancing the status of women. At the CHW Calgary Bat-Yam Women’s Centre there are many programs that support women. For example, the Centre runs a Legal Aid Clinic. With professional volunteers, women in need receive guidance on labour laws, sexual harassment, issues of abuse either in work or at home, family law, and more. The Centre also offers a support group for single mothers to receive critical support from experts on how to maintain a job and become financially independent. CHW proudly supports various programs that help to promote the number of women in positions of power. A key program CHW supports, together with World WIZO, is the Women’s Unlimited Potential Program (UPP). UPP educates and empowers women who are unemployed. UPP collaborates with the business and governmental sector via Microsoft and Employment Services to offer technological training to these women to promote new opportunities that will change their lives. These computer skills not only increase confidence, they opens doors for jobs that are needed in the workforce. Since 2006, over 8,000 women have been trained! Through CHW’s two youth villages, CHW Hadassim and CHW Nahalal, we are empowered young girls through an empowerment program designed for at-risk teenager girls. This program seeks to help young girls, many who are victims of abuse and emotional traumas. Through this program, these young women gain a sense of self-worth and value, increased confidence, and receive the necessary tools to become independent citizens. A critical area of support CHW offers with the support of World WIZO, are the two shelters for battered women in Israel. The two shelters that World WIZO operates help to protect women and their children. It provides them with a safe space to seek refuge and recover in order to reenter society as independent and confident women. CHW is proud of the role that it has in helping to improve thousands of lives of young girls, women and their families. Check out a video below posted by World WIZO in honour of International Women’s Day.